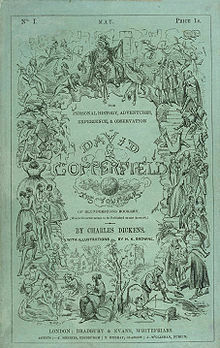 David Copperfield, po The Personal History, Adventures, Experience and Observation of David Copperfield the Younger of Blunderstone Rookery (Which He Never Meant to Publish on Any Account), yw an ethves romans gans Charles Dickens. Dyllys veu an lyver ma yn 1850 kynsa. Diwettha chanj an folen ma a veu an 8 Genver 2015, dhe 02:20.